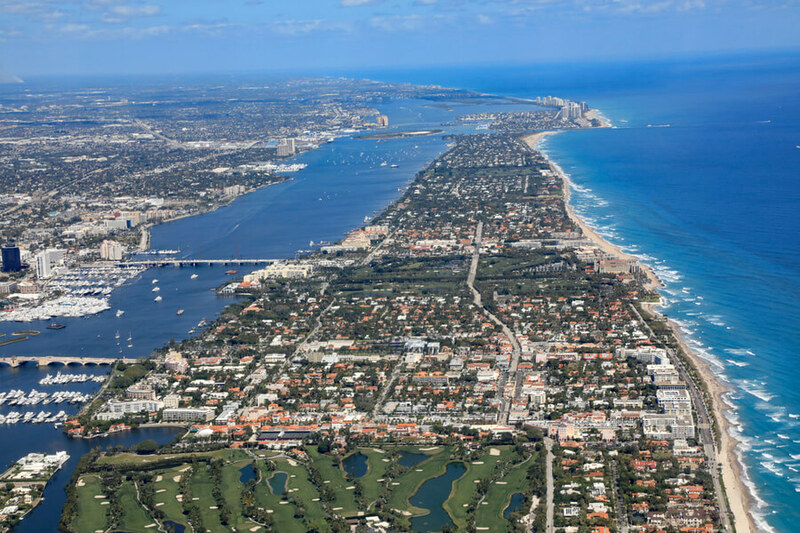 Based in North Palm Beach, Florida, The Recovery Team is an outpatient clinic that provides chemical dependency and substance abuse treatment to men and women seeking partial hospitalization or intensive outpatient treatment. Situated within a few blocks from the ocean, clients are able to receive treatment in a cool, serene environment. In addition to its programs, the facility also offers a sober living option to clients who have completed primary care and it is gender-specific. Founded in 1995, the facility began as a 12-step based small outpatient clinic and was previously known as Recovery Resources. The facility became The Recovery Team in 2012 as its success was immediate, giving it the opportunity to expand greatly over the years. The first stage of treatment involves clients coming in for an initial evaluation and assessment, as this assessment will help the counselors and therapists find the best fit for the client. This is done because the facility offers individualized programs to each client admitted. The facility offers additional services such as medical management and psychological support to individuals with co-occurring disorders. For six hours a day, Monday through Friday, the partial hospitalization program takes place. This program consists of at least one individual session a week and multiple group sessions a day. Clients with co-occurring disorders and trauma-informed care are advised to take part in co-ed and gender-specific groups, as they are made available specifically for them. Therapy methods and treatment approach utilized include Biofeedback, Cognitive Behavioral Therapy, EMDR, and Motivational Interviewing. Narcotics Anonymous and Alcoholics Anonymous meetings are offered on-site in the evenings and clients are required to attend all. After completion of the partial hospitalization program, residents can transition to the intensive outpatient program which typically consists of group meetings which hold for three hours daily, three to five times a week. The average duration of stay in this program is 45 days but length can vary from individual to individual. The basic outpatient program is offered as a step down to intensive outpatient program and clients are only required to attend one individual session monthly and one group meeting a week. The staff team at the facility is made up of counselors and Masters-level therapists with multiple certifications and credentials such as Certified Alcohol and Drug Counselor, Licensed Professional Counselor, and Licensed Clinical Social Worker. The facility offers intensive outpatient treatment services for substance abuse issues in a comfortable and structured environment. All treatment plans are individualized and clients meet several times a week. Treatment approach utilizes Cognitive Behavioral Therapy, 12-Step, and Motivational Interviewing. The Recovery Team costs $15,000 for a 30-day treatment, but the amount stated is subject to change over time as it is dependent on the level of care the client requires and the treatment program. Clients seeking more clarity on more issues or need answers to other questions are advised to contact the facility. The facility offers insurance plans such as Blue Cross Blue Shield, Cigna, Neighborhood Health Plan, Ameri Health, and many more. Insurance verification and payment options are offered during the assessment. The facility is fully accredited by the Joint Commission as all its programs. Clients are offered a free family program as family involvement in treatment is key. It is offered to the client and their loved ones over the age of 18. Holistic treatment modalities such as massage therapy, art therapy, nutritional counseling, meditation, and more are incorporated into a client’s treatment plan. Sober living homes are available to individuals who require such care. The facility offers two gender-specific homes dedicated to sober living and both housings have the capacity to house 12 clients. Both homes come complete with twin beds, adequate furnishing, fully equipped kitchens, washing and drying machines, and many more. In totality, the facility offers a good mix of peer support, evidence-based care, and individualized treatment in a serene and beautiful location. Clients seeking multi-tiered, structured outpatient care will find The Recovery Team to be a good choice. Prior to holding the position of Clinical Director of the facility, she served in other capacities at different organizations such as The Retreat of Broward and Fort Lauderdale Addiction Treatment Center, where she served as Clinical/Executive Officer. She has a world of experience working in the substance abuse center and is licensed to practice psychotherapy. Zane holds a Master’s degree from the Palm Beach Atlantic University in Clinical Psychology/Mental Health Counseling and a Bachelor’s degree, minoring in Psychology and majoring in Sociology. He has over 10 years of experience working with individuals suffering from substance abuse issues. Diane holds a Bachelor’s degree from the Florida Atlantic University in Social work and joined the facility over 15 years ago. She incorporates different types of therapy as well as employing empathy and compassion while treating patients.